with disabled persons in the countries to which God calls us. teachers’ understanding of students with disabilities. May God richly bless you for your support of our ministry. chairs for children from Acorn Special Tutorials. 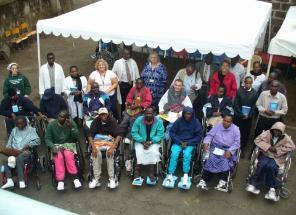 Nairobi Baptist Church hosted the distribution. they heard a brief gospel message and were presented with an English Bible (NIV) and Swahili literature explaining who Jesus is. theme of being a missionary. and in their future ministry. 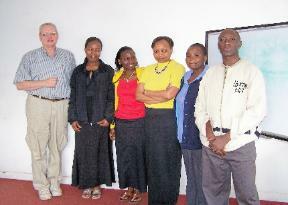 are a bright group of committed Christians who will serve the Lord well in various areas of Kenya. message was translated into Swahili and Maasai. which they will receive training in special education. seminar or workshop for Acorn Special Tutorials since 1998.
present at the next commencement of the Acorn Diploma Program. the interim toward this end. Praise God for Gebre’s growing interest and involvement with the wheelchair outreach!